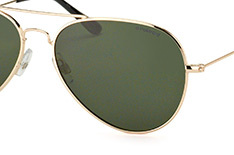 If minimalist, utilitarian, practical but high performing sunglasses are you thing, try a pair of Polaroid frames. 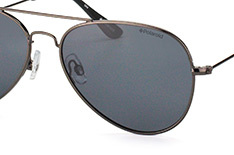 A company with many years experience since they first started manufacturing optical equipment and lenses in 1937, Polaroid also make great polarised sunglasses great for many sports. They are especially good for sports which require a sharp precision like Golf, or where a good aim is required. 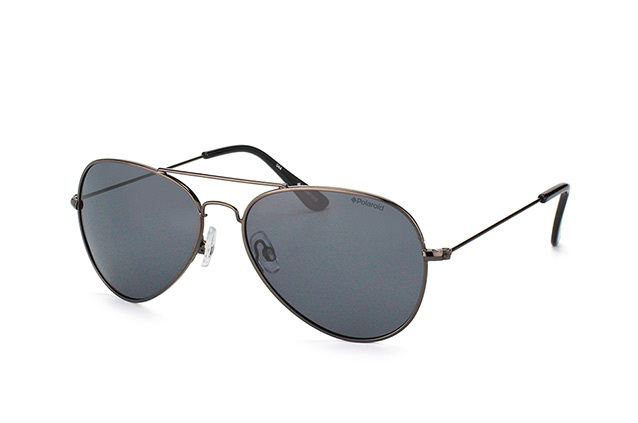 Polaroid frames style number, 04213 C A4X Y2 is a conservative, no nonsense, high spec pair of Aviator style sunglasses. 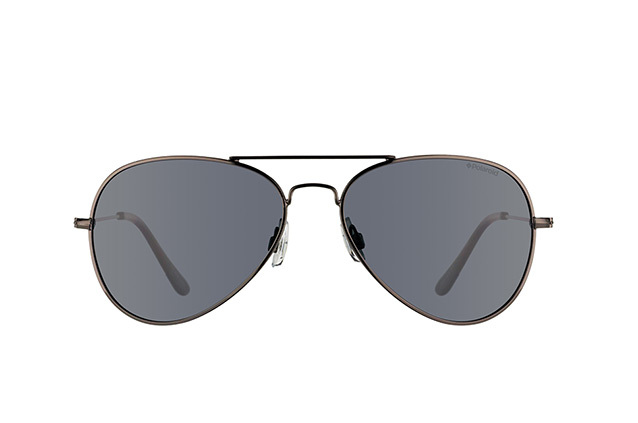 Metallic frames are matt and light weight, and the lenses are beautifully calibrated and polarised, with UV400 protection. 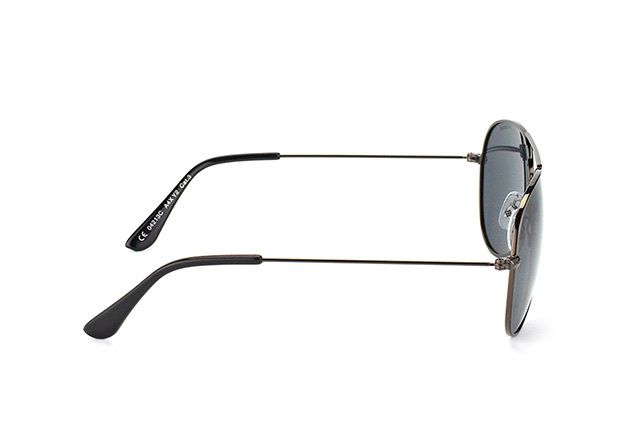 With black plastic arm ends which fit snugly behind the ears, you won't even know you're wearing these glasses. There's a full list of specifics like weight, dimension and product information beside each pair of sunglasses at Mister Spex, which really helps to choose the right pair.